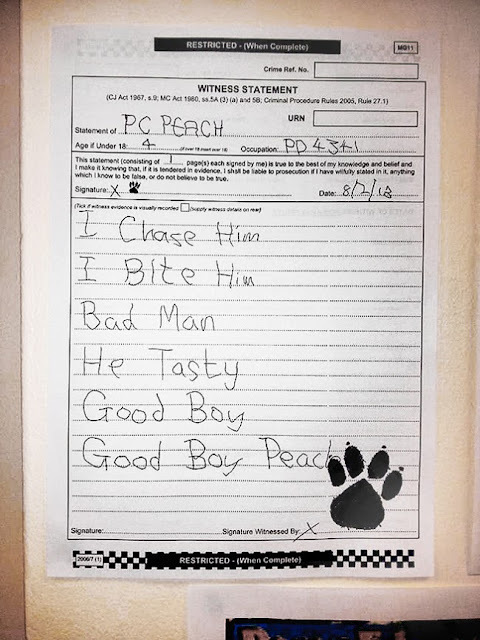 The law is a tricky beast to tackle. Trials, witnesses, evidence and precedent are all part of a complicated system that should hopefully result in justice. Sometimes, there are misunderstandings and difficult waters to navigate. But what happened to the West Midlands Police Department was absolutely ridiculous. Although it was meant as a joke, The Professional Standards Department will be investigating the police department after the false statement. Obviously, someone should be examining the prosecutors who couldn't understand why a German Shepherd couldn't give a statement. Gotta love that fast food!! Scary facts about water. YOU'VE BEEN WARNED!